"Both landlords and their tenants will require valuations of the interests at various times. These valuations can be capital valuations, say for acquisition, tax or lease extension, rental valuations, say for a commercial rent review or an assessment of the cost of rebuilding a property for insurance purposes". 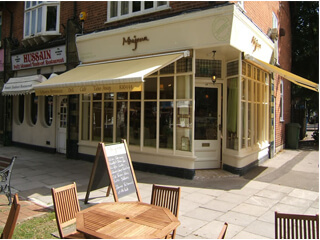 Specialist Properties including: pubs, restaurants, care homes, GP surgeries, dentists, health centres and student accomodation. Most capital values are based on Market Value which the RICS define as; "the estimated amount for which an asset or liability should exchange on the valuation date between a willing buyer and a willing seller in an arm's length tansaction, after proper marketing and where the parties had each acted knowledgeably, prudently and without compulsion". There are many reasons for requiring a capital valuation and many factors can affect the assessment of that Market Value. The valuation surveyors at Ringley have extensive experience in dealing with valuations for both freeholders and leaseholders within the residential and commercial sectors. Typically market value is established by the ‘comparable’ or ‘investment basis’, the comparable basis seeks out evidence of other completed transactions and relies on the Valuation Surveyors expertise to adjust the comparable evidence to derive the correct valuation for the subject property. Other methods of establishing the market value include the account method (For business valuations), the residual method (For Land & Development Valuations) and the depreciated replacement cost method (where there is a very limited market). Market value is a concept distinct from market price, which is “the price at which one can transact”, while market value is “the true underlying value” according to theoretical standards. The concept is most commonly invoked in inefficient markets or disequilibrium situations where prevailing market prices are not reflective of true underlying market value. For market price to equal market value, the market must be informationally efficient and rational expectations must prevail. Market value is also distinct from fair value in that fair value depends on the parties involved, while market value does not, the implications being that fair value requires the assessment of the price that is fair between two specific parties taking into account the respective advantages or disadvantages that each will gain from the transaction. 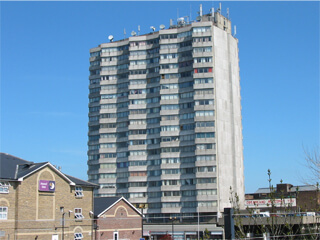 Most rental valuations are based on Market Rent which is defined by the RICS as "the estimated amount for which an interest in a real property should be leased on the valuation date between a willing lessor and willing lessee on appropriate terms in an arm's length transaction, after proper marketing and where the parties had each acted knowledgeably, prudently and without compulsion. There are many reasons for requiring a rental valuation and many factors can affect the assessment of that Market Rent. The valuation surveyors at Ringley have extensive experience in dealing with rental valuations for both freeholders and leaseholders within the residential and commercial sectors. Under the RICS* International Valuation Standards the Valuer, a qualified Chartered Valuation Surveyor, has to be independent of the parties and cannot carry out the valuation if he/she has a conflict of interest, i.e., he/she cannot act for both parties in a transaction. * RICS – The Royal Institution of Chartered Surveyors (RICS) represents the property profession in 146 countries, and regulates its ‘Chartered’ members. 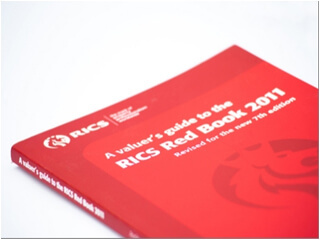 All valuations are subject to the RICS International Valuation Standards otherwise known as the ‘Red Book’. © Copyright 2017. Ringley Surveys Limited. Company No. 11788579. All Rights Reserved.